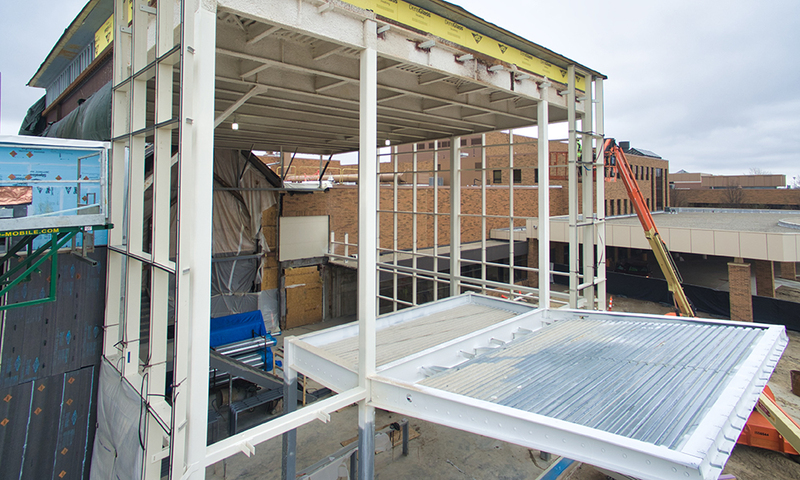 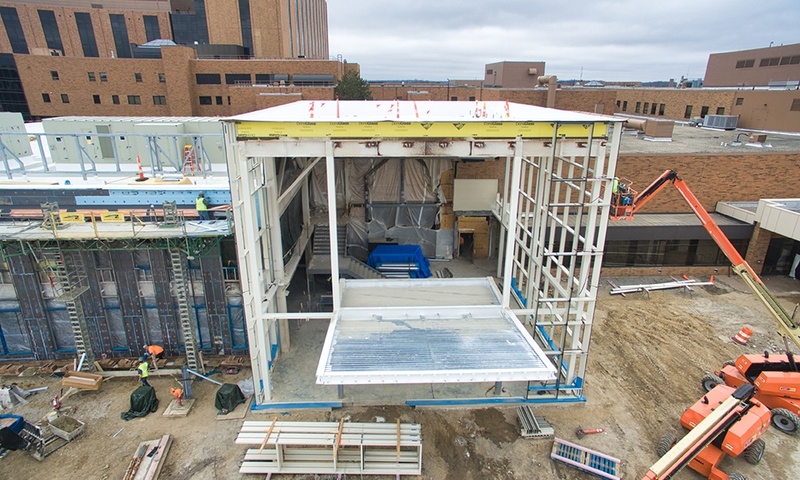 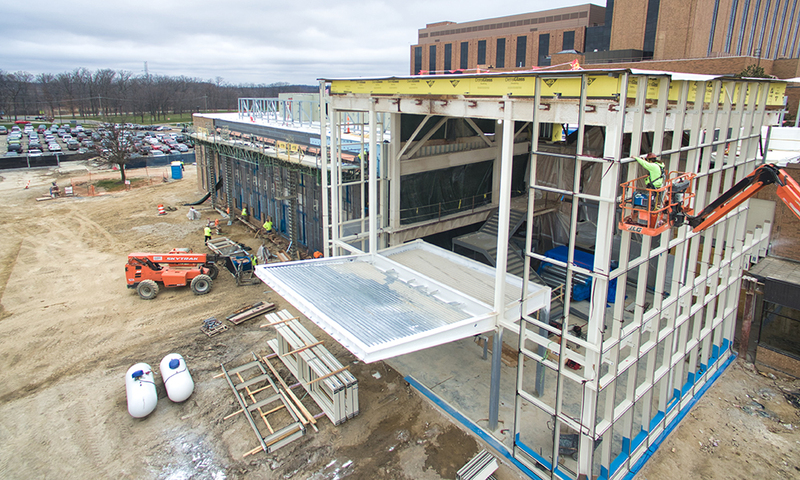 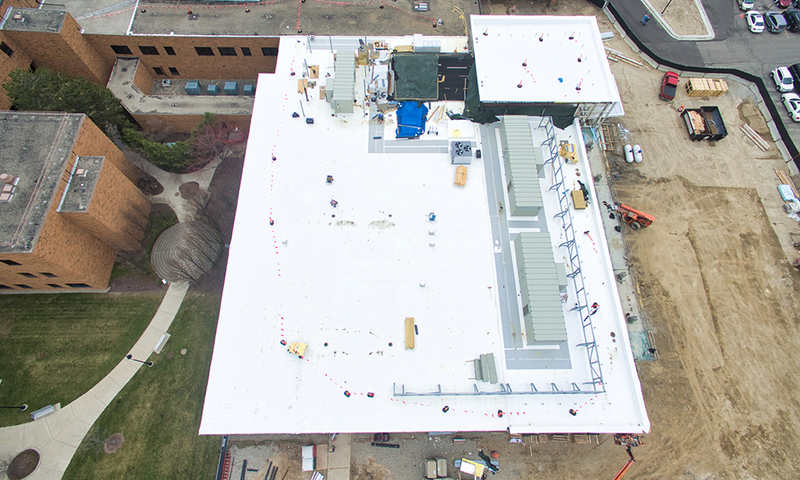 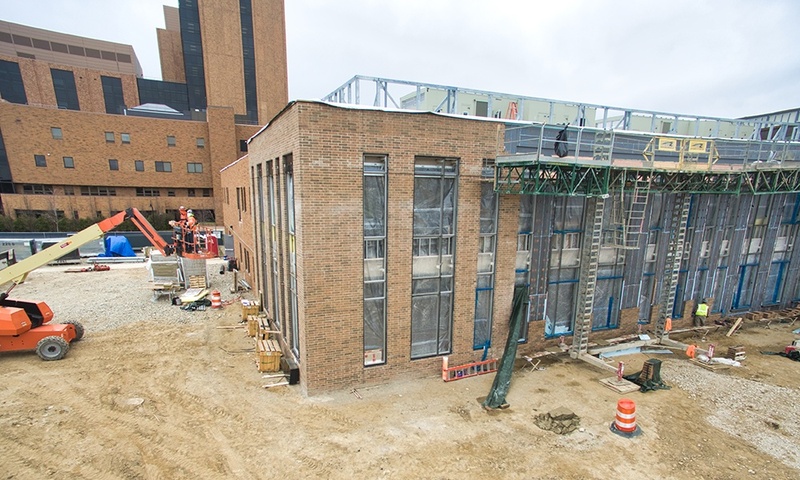 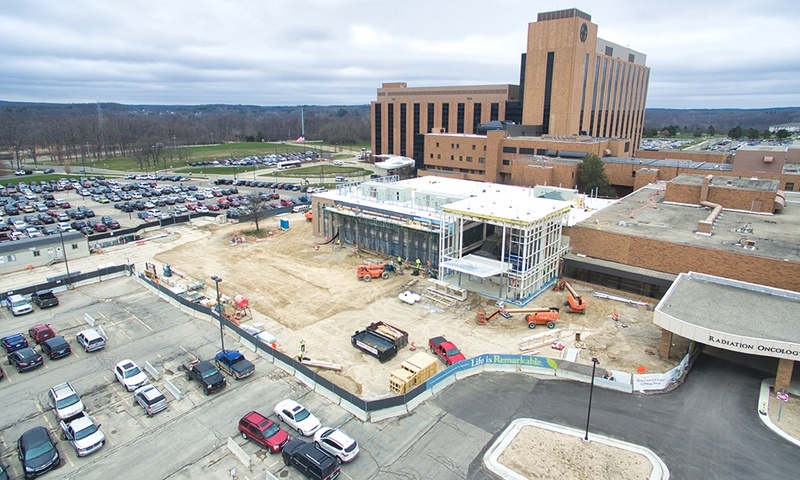 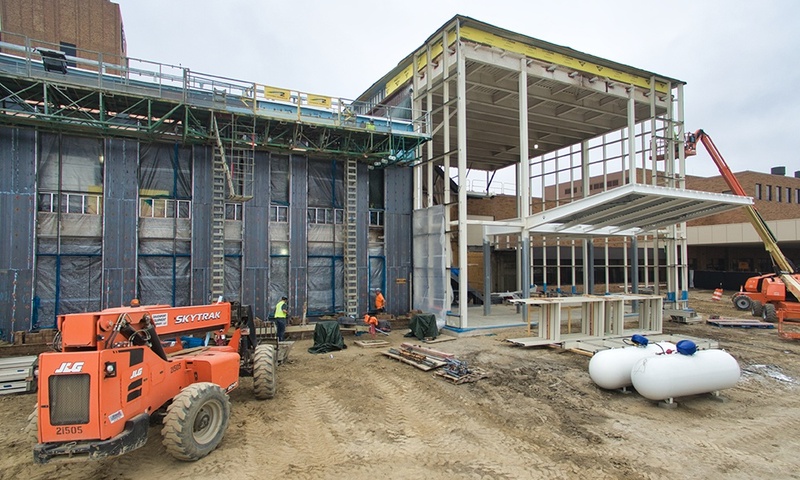 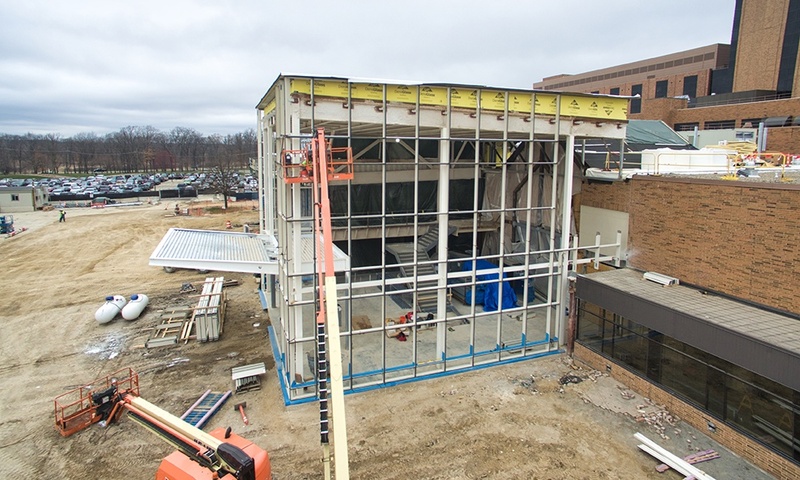 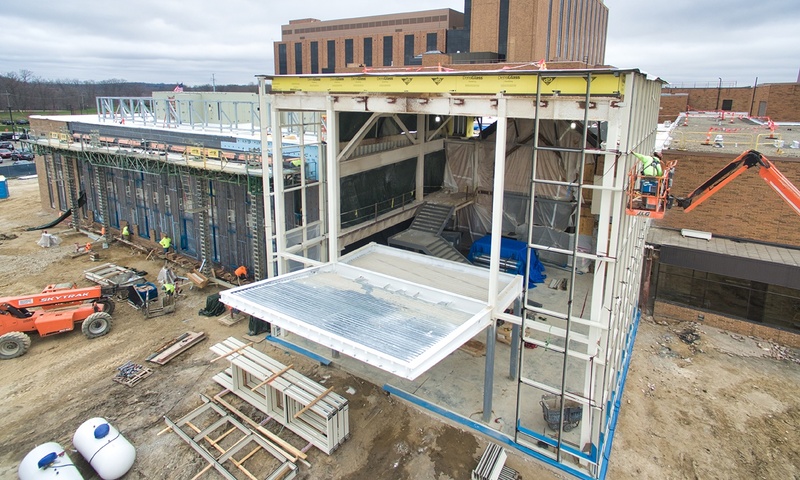 Granger Construction is making steady progress at the St. Joseph Mercy Hospital Cancer Center Expansion project in Ann Arbor, Michigan. 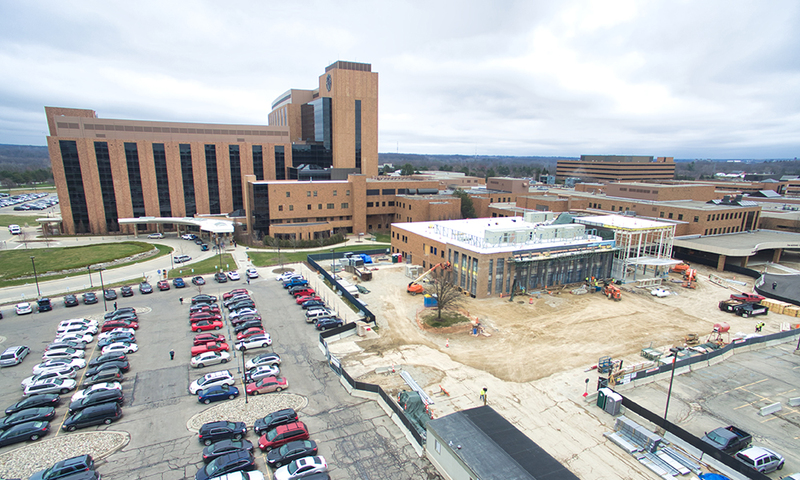 The $24 million addition to the existing Cancer Center will help make medical care and treatment a seamless experience for patients fighting cancer. 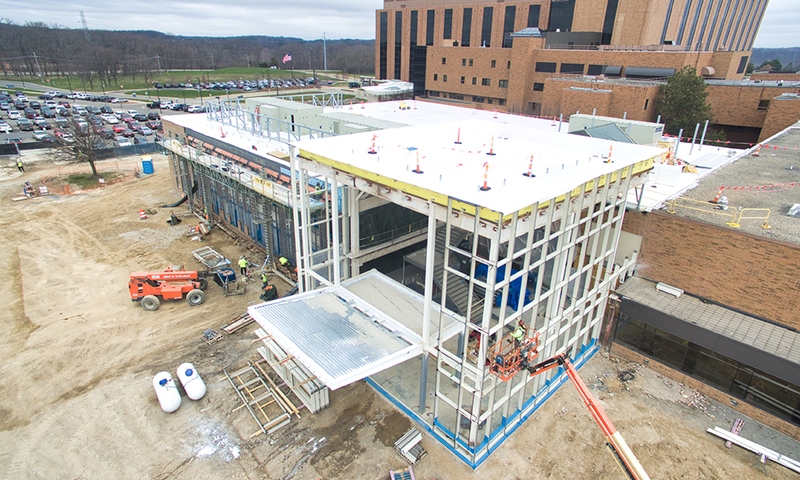 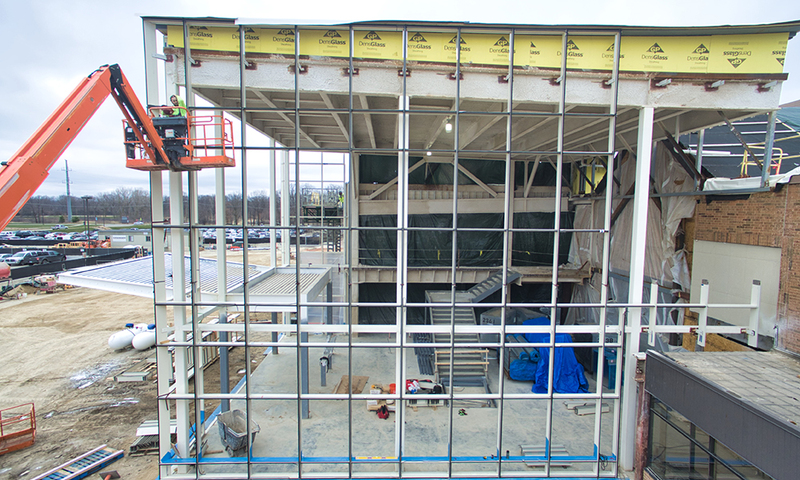 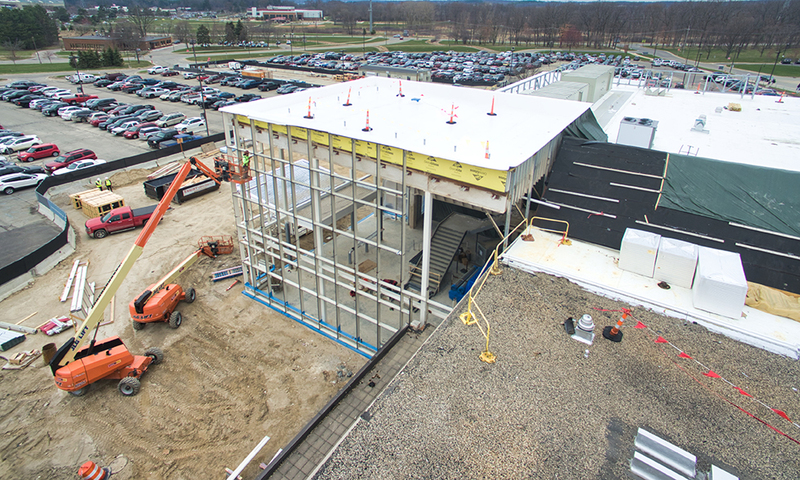 The project consists of expanding the Cancer Center by about 25,000 square-feet, which includes an addition at the front of the building to serve as the new entrance with a two-story glass atrium, a coffee shop in the front lobby, an expanded infusion suite and space for the hospital’s oncology program. 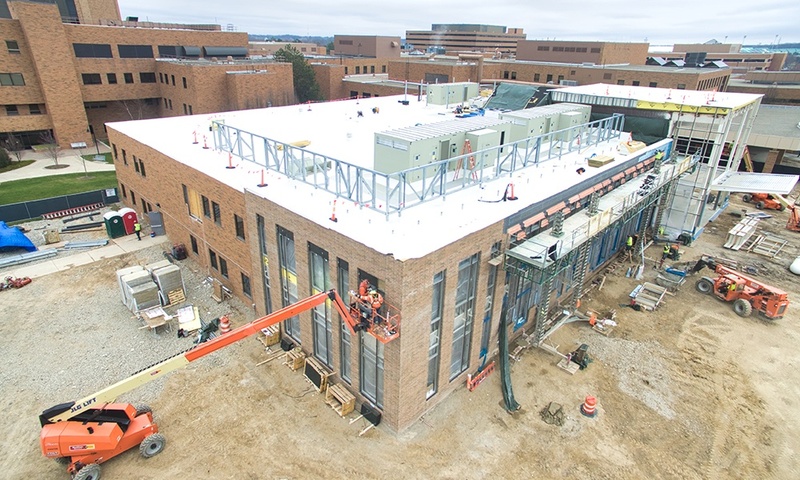 The project is slated for completion in November 2018. 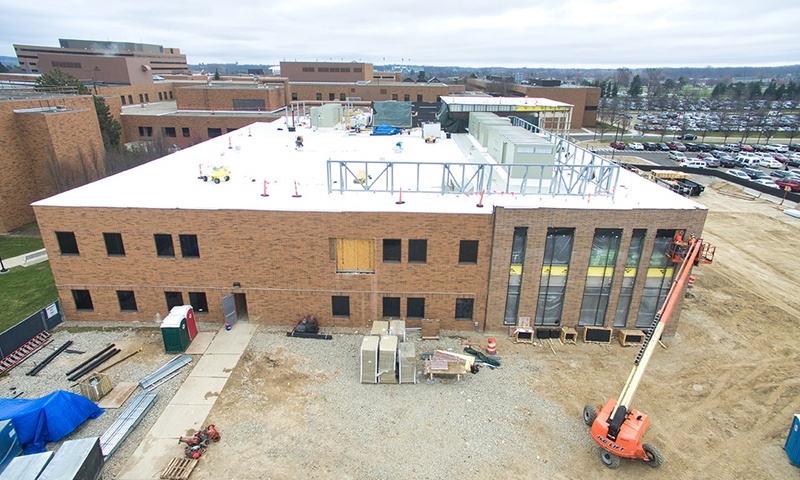 View the latest photo gallery and drone video footage from the project below!